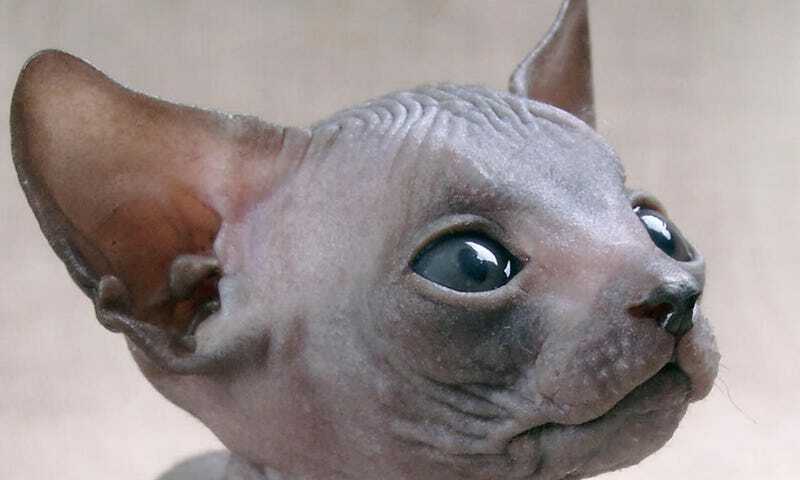 The Sphynx is the Gollum of the cat world. That's right, Andy Serkis himself personally performs each Sphynx cat's emotional range using an elaborate motion capture rig which spews the data to ornery animators who reference it with cursory interest, and then output the hairless cat to your home. Traditionally, this breed is owned by Ms. Havisham-type billionaire recluses who wander their manors in soiled wedding dresses, cigarette in one hand and hairless cat in the other.